LA Galaxy striker Alan Gordon has stated that all the players at the club are left extremely disappointed following the poor start to the season. A 4-0 thrashing at the hands of Orlando City has seen the team slip out of the play-off places. 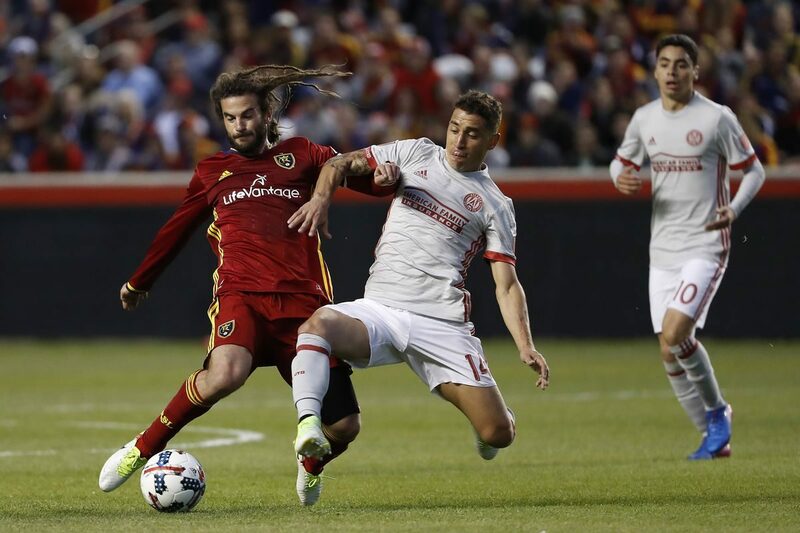 Even though they have been able to recover from this defeat by managing a 1-0 win over Houston Dynamo in the subsequent match, the players are extremely concerned about the poor form that the team has been experiencing for the last couple of months. The win over Houston was the first LA Galaxy have managed after almost a month. Gordon says that the situation will surely improve in the coming weeks as the club start getting back a number of players from the sidelines. One of the first to come back and improve the team was striker Robbie Keane, who contributed the assist in the win over Houston. Aside from it, the club are also looking forward to welcoming Liverpool captain Steven Gerrard. The former England star has signed with the Galaxy for the next couple of years on a free transfer. José Villarreal also returned from the sidelines and he will help improve the team as well. “I would say with the team we put on the field, we had to play well to get a result. And we didn’t play well. So we certainly didn’t get a result [nor] give ourselves a chance. That’ll help. It doesn’t solve [all the problems], but that will help, for sure,” said coach Arena. This is the lowest LA Galaxy have ever been under the regime of Bruce Arena since 2008. “Just getting some healthy bodies back, it doesn’t mean that it’s all going to work out. We’ve got to work hard, we’ve got to continue to work on our shape and our form, and, moving forward, the healthy bodies will help,” said Gordon.